A Local Access Place is a friendly place in a park, school, library, mall, training or community center. Open to children, youth, families, and adults of all ages. Dedicated to community and connection. Providing local access to the World Wide Web, learning games, personality and talent assessments, local to global networking, teleconferencing, scheduling of community events, net-work shops, employment opportunities and training. And sustaining both for-profit and nonprofit enterprises. Each LAP would provide support, encouragement, and education to anyone at any level of computer proficiency. Each LAP would be a facilitation center for networking meetings, community activities, and lively conversation -- an informal public place dedicated to community and relationship -- open to all. 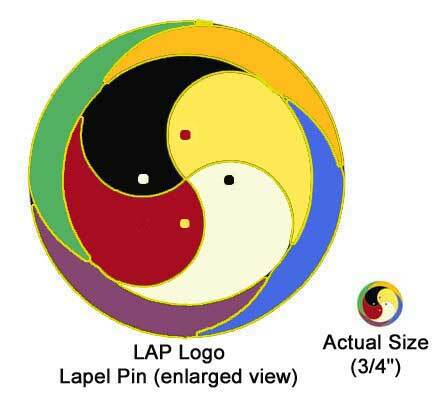 LAP is a way for the dots to connect. (Synergy of People, Organizations, Relationships, and Enterprises). LAP RELATION SHIPS are vessels for complementary interaction in the co-evolving ecosystem of the information age. A LAP is a vehicle for transformation and exploration on and beyond the information superhighway. LAP is a chaordic” enterprise. The word “chaordic” was coined by Dee Hock, founder and CEO Emeritus of Visa International. It is made from the relationship between “chaos” and “order” and refers to any self organizing system in society or nature. Order at the edge of chaos is where learning takes place. A chaord is infinitely durable in purpose and principles, and infinitely malleable in form and function. The chaordic approach to barriers that block collaborative solutions is to transcend and enfold.